Follow my living experience with new pictures on Instagram at this link! 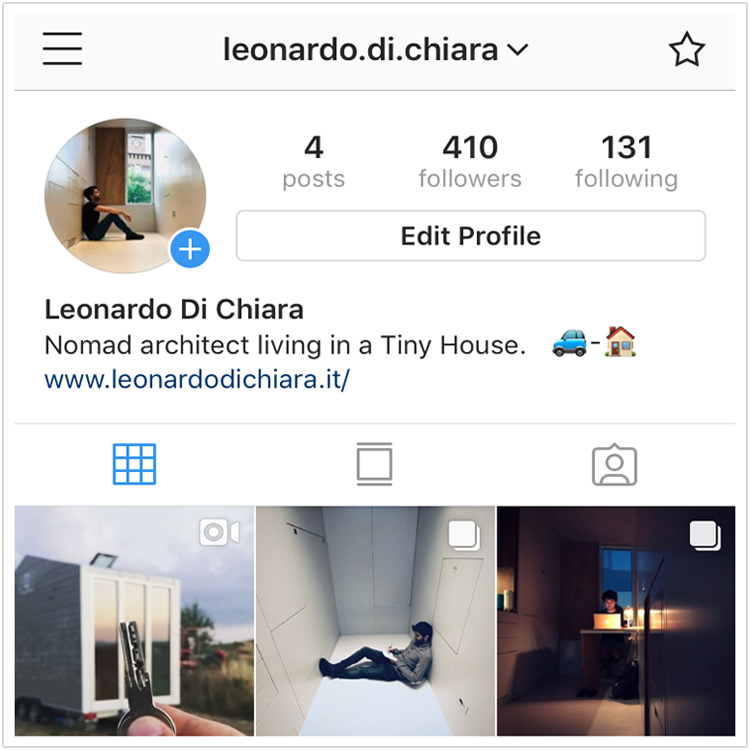 I am Leonardo Di Chiara, a 28-years-old italian architect and engineer with the passion of temporary architecture and micro-living. You are visiting my personal website where I write about my newest projects and ideas. I would like to start your tour introducing aVOID: a nine-sqm tiny house on wheels designed and built by me in Italy during summer 2017. It is now exhibited at the Bauhaus-Archiv / Museum of Design. Starting from March 2018 aVOID will be on tour and I need your support (discover how here). If you are interested to know more about my tiny living experience, follow my aVOID Facebook page. Thinking on a bigger scale, the urban environment, I am developing a research about tiny houses and their integration into big cities. Right now I am writing a concept of a replicable model which envisions temporary settlements called Migratory Neighbourhoods. Migratory because the houses, like birds, constantly migrate from a location to another taking advantage of the unused spaces in the central areas of cities. If you are interested to know more write me an e-mail at avoid@leonardodichiara.it or a message at this Facebook page. Scrolling down a little bit more you will also find some stories about my involvement as a member of the Board of Tinyhouse University and my work at the world renowned architectural office GRAFT as recipient of the prestigious Premio Berlino awarded by Italian Ministry of Culture. If you have any question don’t hesitate to contact me by e-mail. aVOID is the first Italian prototype of a “tiny house”, a housing typology consisting of small itinerary dwellings built on wheels. Conceived in the seventies in the United States, the “Tiny House Movement” has recently been on the rise in Europe where numerous prototypes have already been tested starting in the Nordic countries. The objective of the project is the field testing of the mobile ‘tiny house’ typology, the industrialisation of its construction process and raising social awareness of new housing policies such as the creation of urban migratory neighbourhoods. Discover more about aVOID here. With the aim of raising awareness among the public on more sustainable housing solutions, the “Tiny House Movement” and its possible use in urban areas, aVOID will be the protagonist of a stage tour beginning in Berlin and ending in Rome. Discover more about aVOID on Tour here. 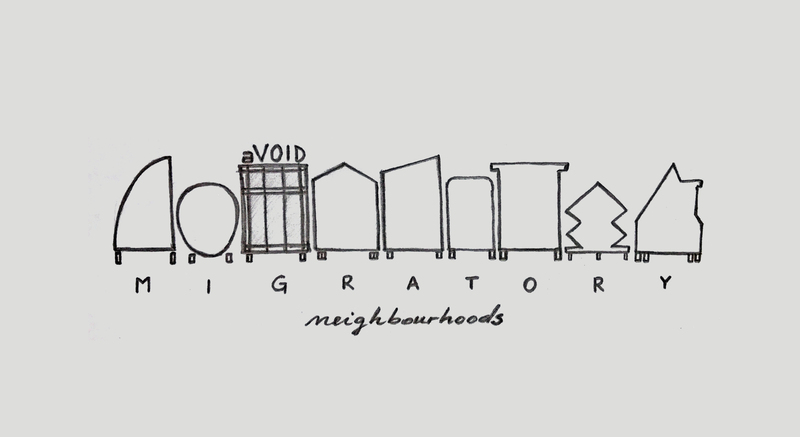 “Migratory neighbourhoods” is an experimental urban and social project which aims to test innovative affordable solutions and easy reachable tools for all the people which aspire to live in very desirable cities without considerable economical investments. Migratory because the settlement is composed by houses on wheels which like birds can migrate from a location to another. The mobile urban community will occupy the spaces which are not used by the city in that specific moment. Discover more here. 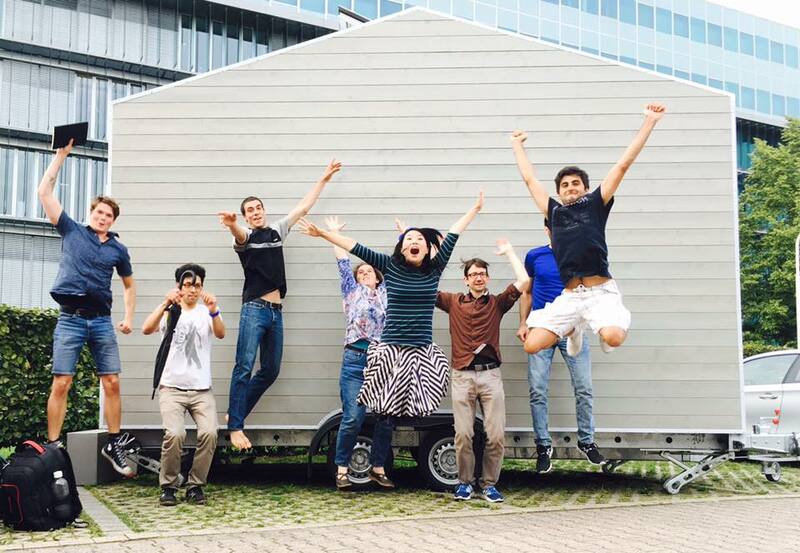 Since July 2016 I am part of the Tinyhouse University, a berliner collective of architects, designers, sociologists, carpenters and newcomers which aims at giving innovative solutions for a more sustainable way of living in the city. I am a member of the Board of “Tinyhouse University” and President / Founder of its italian branch “Tinyhouse University Italia”. Learn more here. For my tiny house project and my future vision on “migratory neighbourhoods”, I was awarded with the “Premio Berlino 2017“. A prestigious recognition for emerging Italian architects which focus their research on urban structure reuse and regeneration. The Prize was given by The Ministry of Cultural Heritage, Activities and Tourism MiBACT (General Directorate for Contemporary Art, Architecture and Urban Peripheries), the Ministry of Foreign Affairs and International Cooperation MAECI (General Directorate for Promotion of the Nation System), the Italian Institute of Culture in Berlin IIC and ANCB The Aedes Metropolitan Laboratory Berlin. As recipient of the Prize I will spend a period of six months in Berlin (October 2017 – March 2018) in order to examine topics related to urban structure, reuse and regeneration and to participate to cultural activities (meetings, debates, seminars, urban tours…) especially attending the initiatives promoted by ANCB. To follow my current involvement with Tinyhouse University, I decided to focus this short period of time to analyze in more details the theme of mobile urban structures and temporary living in the city. I will develop this research at GRAFT Architekten, tutored by architect and founding partner Lars Krückeberg. GRAFT is a world renowned architectural firm based in Berlin. The office has worked on a very broad a diverse collection of projects, from large scale developments to pop-up architecture. During my period at GRAFT I will work on one of their most successful creation: the SOLARKIOSK, a mobile unit of 8 sqm which aims at giving access to clean energy to off-grid villages in developing countries, especially in Africa. How can SOLARKIOSK “empower” the civilized and fully connected cities of our society? For more updates, visit this page soon. In the context of my activities as winner of the “Premio Berlino”, I decided to establish a physical platform to discuss about urban regeneration projects happening now in the city of Berlin. This is called URBAN [tiny] TALKS, a serie of speed and live streamed conferences held inside my aVOID tiny house. Read more here. Leonardo Di Chiara is a 28 years old Italian architect and engineer fascinated by micro living and temporary architecture. 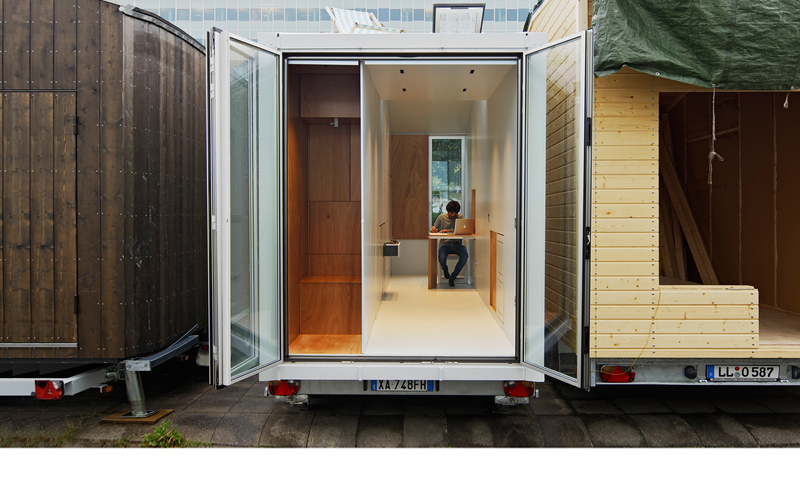 He designed and built aVOID tiny house, where he is currently living in Berlin. His dream is to live inside big cities with his own tiny house. And this is how he came up with the idea of Migratory Neighborhood. Discover more about his projects on this website.